This may sound an odd thing to be the most excited about considering the other products in the beauty advent calendar but today’s Marks and Spencer calendar present of the Ultrasun Face SPF 30 sun cream is one of the ones I was most looking forward to trying. I’ve seen this make around for a while but never actually tried anything from them, having been told recently I need to wear sun cream, or SPF anyway, because of medication I was waiting for this one to try and sticking with one I already had from summer. 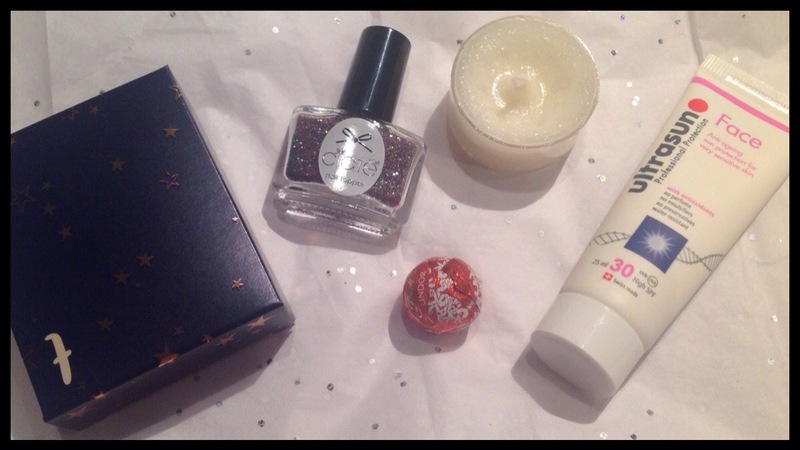 The Ciate today was a nail topper, a glitter called All That Jazz, which is really pretty and sparkly but these are so messy to use. The Yankee Candle tea light today is actually hard to tell which one it is, I’ve got a cold now and I can’t seem to tell if this is Christmas Cookie or Winter Glow but I think it’s Christmas Cookie. It’s such a subtle scent and I think the others in the calendar may have affected the scent of it when it’s not burnt, or maybe it’s just my nose playing up and adding other scents to it. 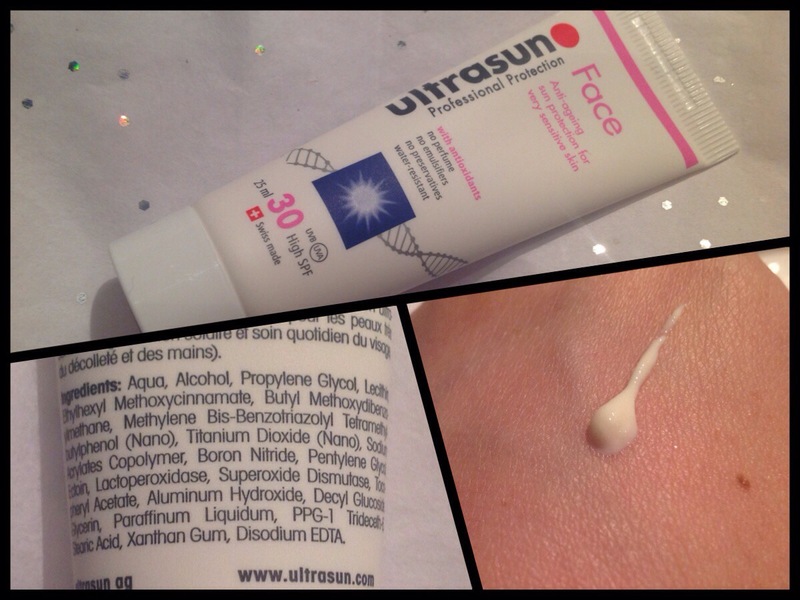 As I said I was really looking forward to getting the Ultrasun Face SPF 30 sun cream as I have tended to find a lot of face ones are too rich for my skin. My skin is dry and sensitive but also acne prone which is a hard combination to please. This one specifically says it’s designed for very sensitive skin and it feels so light and easy to apply that I’m very hopeful that this one will work for me. This tube is only 25 ml but it feels like it’s the kind of product that needs very little to cover your face and you don’t want products with SPF in to last too long as it reduces over time. Full sized ones aren’t on the Marks and Spencer website but I found a 50+ SPF in the same range for £24 for a 50ml bottle so it’s a pretty expensive product. It would have to work really well for me to repurchase I think but we’ll see how long it lasts as well. I’ve had some of the nail toppers from Ciate before, in the last Mini Mani Month that I bought, and although they’re fun I don’t think I’ve used them after the first month of having them because of the mess that they make. This one is a rainbow glitter in the colour All That Jazz which is really pretty but gets everywhere. It does stick well, I decided to show it on a clear base to see the coverage, and it seems to not be catching on too much when I picked it up but that is one of the big problems with these. Either the glitter or the nail caviar don’t last long as you can’t use a top coat, or I cofounder I couldn’t as it messed up the brush of the top coat and removed some of the topper when applying it, so it would catch on everything and stat to fall off after a day or two leaving it looking patchy. I think they work well if you apply them for a night out, especially on a state to nail, but done expect them to last more than that n you can’t really touch them up easily. I can’t find this one outside of the advent calendar so I’m guessing it’s an exclusive. They do have a range of other nail toppers though that can give you a similar effect. 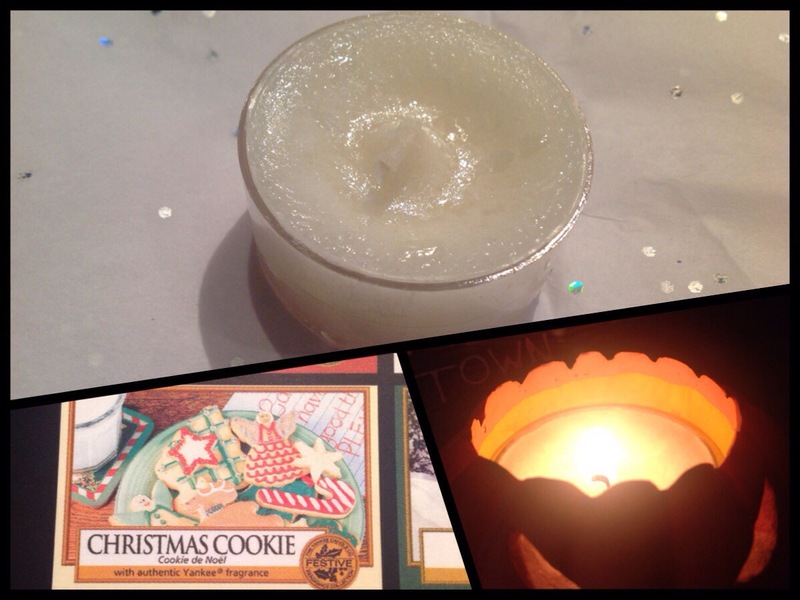 The Yankee Candle in Christmas Cookie is very sweet, it’s got a slightly buttery bakery scent which hides the pure vanilla slightly and it’s a very subtle smell so I found it hard to pick up much this time. It’s definitely one that gives a background smell and, although I’m not keen on overly sweet vanilla or bakery based scents this one is t too bad. I do find that I like it best when used in com inaction with another, sharper scent, to make it a bit sweeter. That’s where I think these tea lights work well, you can make a sort of cocktail or burn this alongside a stronger scent in a larger jar to add a hint of whatever the tea light is. This scent is available in a range of products and the’s tea lights themselves cost £6.99 for a box of twelve. All of the products in this scent are in a sale but are sold out online apart from a couple so it’s probably a case of checking your local stockist if you like the sound of this one. ← Advent 2016: Day 6!